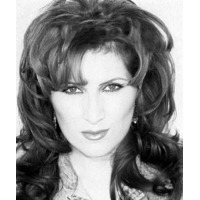 Jo Dee Marie Messina (born August 25, 1970, in Framingham, Massachusetts), known professionally as Jo Dee Messina, is an American country music artist. She has charted nine Number One singles on the Billboard country music charts. She has been honored by the Country Music Association, the Academy of Country Music and has been nominated for two Grammy Awards. She was the first female country artist to score three multiple-week Number One songs from the same album. To date, she has two Platinum and three Gold-certified albums by the RIAA.